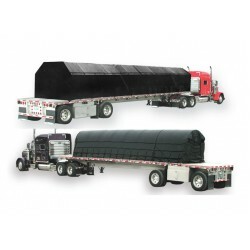 We stock 3 sizes of Lumber Tarps with Flaps, 4’ drop, 6’ drop & 8’ drops in 18 OZ Black Vinyl. 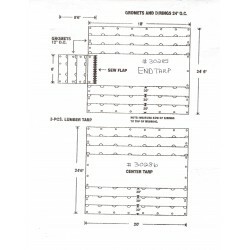 They are constructed with 2 – 3 rows of D-rings and Grommets on the hem. Custom construction, sizes and colors available.